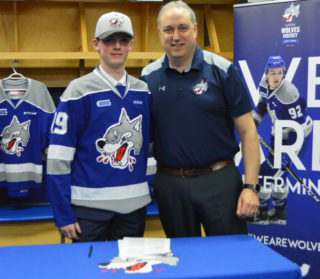 (Sudbury, ON) Wolves Hockey returns to the Sudbury Arena this Friday night when the Wolves host the Erie Otters for the one and only time this season at 7:05pm. It’s a double header weekend as the Wolves will return to the ice Sunday afternoon for a matinee match-up with the North Bay Battalion at 3:05pm. 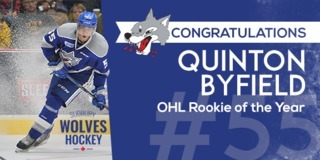 The Wolves will be looking to sweep the season series with the Otters as they defeated them 4-1 earlier this month. The Otters currently sit 8th in the Western Conference and are led up front by overage forward Kyle Maksimovich who leads the team in points with 21 through 14 games. Russian forward Gera Poddubnyi sits just behind Kyle with 16 points in 14 games. Friday’s game is a very special game as the Wolves will honour Rod Schutt in the pregame ceremony as they raise his #8 to the rafters to join the likes of Mike Foligno, Ron Duguay, Randy Carlyle and Dale Hunter. Rod will be joined on the ice by his family and former teammates for the ceremony. Friday is also #HuntForACure in support of the Northern Cancer Foundation (NCF). The Wolves will wear special hunting safety jerseys that will be auctioned off with proceeds to the NCF. The first 500 fans will receive free orange #HuntForACure toques. Friday’s game is sponsored Stoeger Canada and Sako Cartridges. 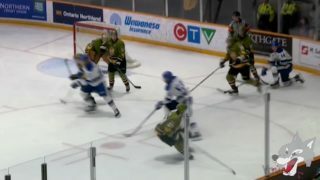 On Sunday, the Wolves will face league leading point and goal scorer Justin Brazeau and the rest of the North Bay Battalion for the first time this season. The Wolves are one point ahead of the Battalion, I the tightly matched central division standings in what is sure to be a great weekend match-up. 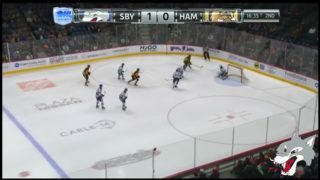 Sunday’s game is sponsored by the Northern Life and Sudbury.com. Prior to the game, the Wolves will host their annual pre-game Remembrance Day Ceremony. Northern Life and Sudbury.com will be on-hand with prizes and giveaways for lucky fans throughout the game. 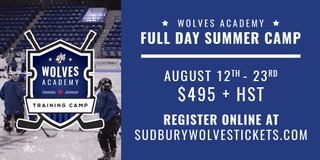 The Wolves will welcome Walden Minor Hockey this Sunday for the first Tim Hortons Tyke Mini Game of the season. The Wolves will follow the weekend with their second community practice on Tuesday November 6th in Walden. Home games will feature local musicians one hour before and during the first intermission on the Queen’s stage powered by M.I.C. 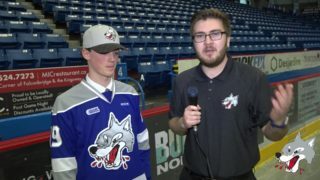 Friday will feature singer song writer Andy Lowe with his “GO WOLVES GO” among other fan favourites and Sunday afternoon will feature Rod Bazinet.